It is well known that after the discovery of fullerenes (1985) and carbon nanotubes (1991) so many scientific and engineering groups in the world have started to use these structures in order to modify the basic properties of the organic and inorganic materials. 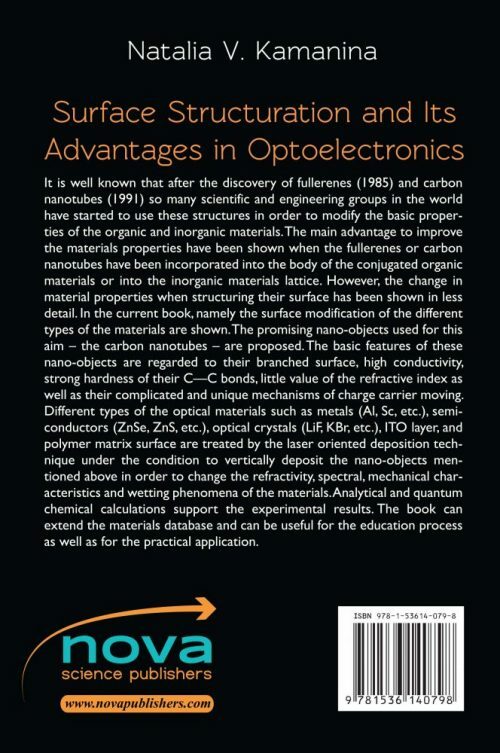 The main advantage to improve the materials properties have been shown when the fullerenes or carbon nanotubes have been incorporated into the body of the conjugated organic materials or into the inorganic materials lattice. However, the change in material properties when structuring their surface has been shown in less detail. In the current book, namely the surface modification of the different types of the materials are shown. The promising nano-objects used for this aim – the carbon nanotubes – are proposed. The basic features of these nano-objects are regarded to their branched surface, high conductivity, strong hardness of their C—C bonds, little value of the refractive index as well as their complicated and unique mechanisms of charge carrier moving. Different types of the optical materials such as metals (Al, Sc, etc. ), semiconductors (ZnSe, ZnS, etc. ), optical crystals (LiF, KBr, etc. ), ITO layer, and polymer matrix surface are treated by the laser oriented deposition technique under the condition to vertically deposit the nano-objects mentioned above in order to change the refractivity, spectral, mechanical characteristics and wetting phenomena of the materials. Analytical and quantum chemical calculations support the experimental results. The book can extend the materials database and can be useful for the education process as well as for the practical application. 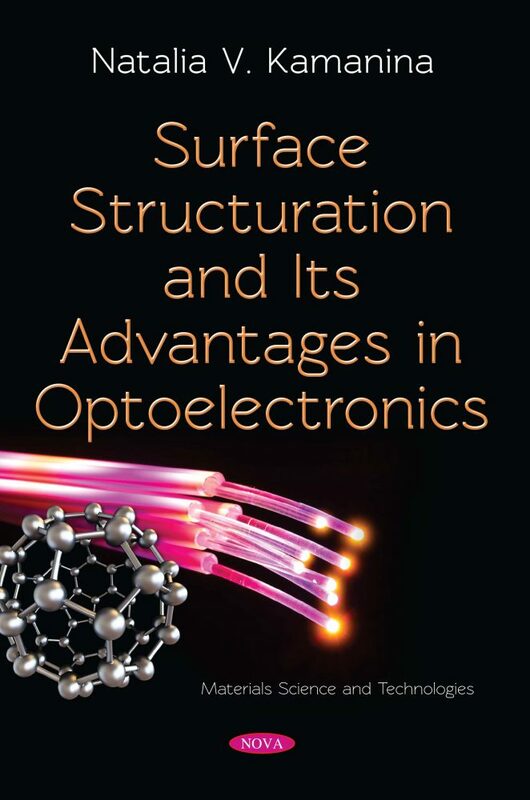 The special approach and interesting results on materials surface structuration with the carbon nanotubes used as perspective and novel coatings and treated by laser oriented method are shown for the different areas of the applications in general optoelectronics, solar energy and gas storage, laser and display technique, biomedicine, etc. It is important for the education process as well, for the civil and special device operation.